Gypsy Peasant style Bohemian Off the Shoulder White Ladies Blouse Specification Color: ICE ..
Specification: Product Details Style Bohemian .. 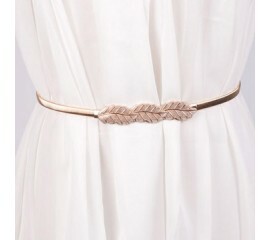 Stunning Gold Leaf Ladies Belt ..
V Neck Tassle Ladies Cover Up Perfect with Jeans or Shorts. ..